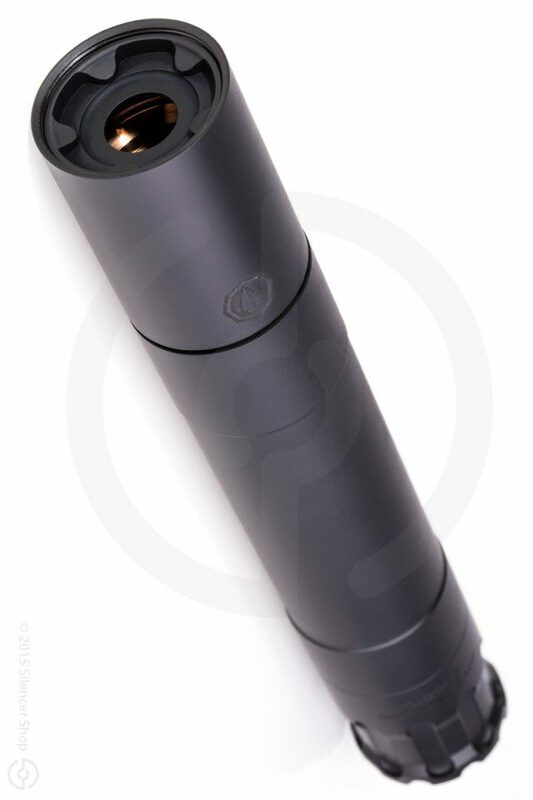 Rugged Suppressors announced their arrival to the silencer world with a resounding entrance. In 2015, they unveiled the Surge—the first truly modular .30 caliber rifle can—and it was a remarkable opening effort. Grasping that success (yet meticulously testing and evaluating every detail of their designs), they took the innovative traits from the Surge and applied them to the Razor. Thankfully, with their advanced Obsidian 45 design, they have now brought those same stellar characteristics to the pistol market. Although the Rugged Suppressors brand might be new to the industry, the man behind it (Henry Graham) is responsible for some of the most successful commercial silencers ever made. The South Carolina-based Rugged Suppressors takes aim at fusing innovation and creativity to produce forward-thinking Silencer options. As seen with the pioneering modular Obsidian 45, their seat at the silencer table is well-deserved. CALIBER: Full Auto Rated for Pistol Calibers up-to 45ACP. 300BLK Subsonic.